Last couple of days was the weather really beautiful. It was sunny and it got warmer. I was in the mood wearing something colourful and more spring-like. 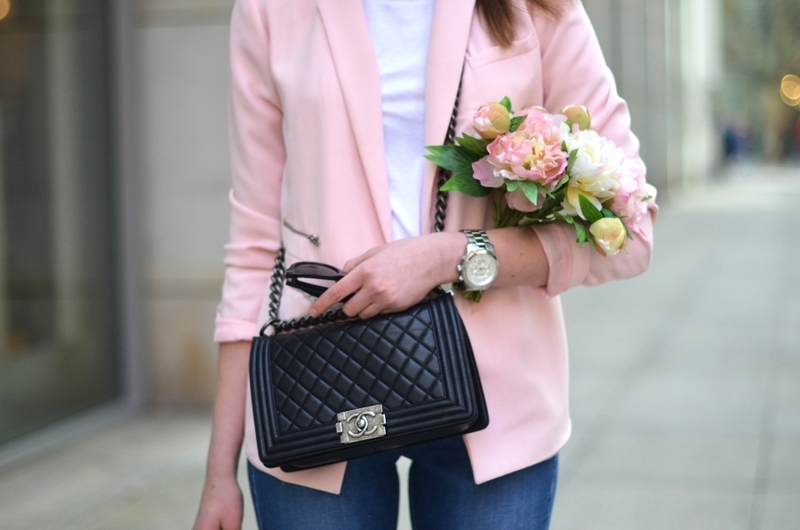 So I went for my baby pink blazer, worn with a simple shirt and a pair of ripped skinny jeans. I have added my heels and Chanel Le Boy bag. I have to say that I am still into "baby" colours. This season I would like to get a baby blue blazer. Any ideas where? WOW you look great as always! oomg those heels! Love love love! you look amazing :) and beautiful flowers btw! 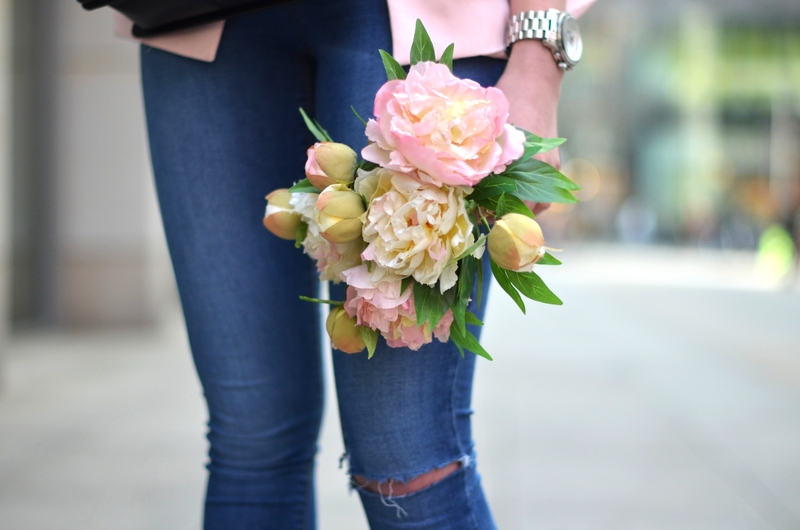 Love the peonies and your jacket. I would wear it exactly like this, simply change the heels for comfy white converse.